DO NOT CLICK ON THE LINK PEOPLE IS POSTING WITH MY NICKNAME IN THE COMMENT SESSION, THESE ARE SCAMMERS. 1st - LanEx #15 ; uwilltest (kzud, jessy, soOn, natsu, bodyy) - 2012. 4th - LanEx #16 ; Team D&R (Allu, kzud, matHEND, somNy, bodyy) - 2013. 7th - EPS Qosmio 2013 ; TopGun (froyge, jessy, masta, smyli, bodyy) - 2013.
n.a - Opale Arena #5 ; prana.mix (eXp, kzud, jessy, powels, bodyy) - 2013. 2nd - BuykeyLan #1 ; Team-eXeS (Fuk5, matHEND, storen, to1nou, bodyy) - 2014. 1st ;) - Lan Archi'Numérique 2.0 ; SEGPA (Allu, matHEND, TiduS, y4nnis, bodyy) - 2014. 2nd - Gamers Assembly 2014 ; Team-eXeS (Fuk5, matHEND, storen, to1nou, bodyy) - 2014. 5th - DreamHack Valencia 2014 ; Platinium eSport(Fuk5, matHEND, storen, to1nou, bodyy) - 2014. 3rd - ESEA Open s16 ; Platinium eSport(Fuk5, matHEND, storen, to1nou, bodyy) - 2014. 1st - Opale Arena #6 ; Platinium eSport (Fuk5, matHEND, storen, to1nou, bodyy) - 2014. 1st - ZowieLanEx #19 ; Platinium eSport (Fuk5, matHEND, storen, to1nou, bodyy) - 2014. 3rd - ESWC.fr ; Platinium eSport (Fuk5, matHEND, storen, to1nou, bodyy) - 2014. 9-24th - ESWC 2014 ; Platinium eSport (Fuk5, matHEND, storen, to1nou, bodyy) - 2014. 1st - UltimateArena#1 ; SEGPA (Allu, DEVIL, matHEND, set, bodyy) - 2015. 4th - CapArena #4 ; Mix (Fuk5, matHEND, DEVIL, jarod, bodyy) - 2015. 1st - UltimateArena#3 ; TAHLESCHANTEURS (Fuk5, to1nou, MetaL, NrV, bodyy) - 2015. 2nd - Gamers Assembly 2015 ; TEAM-LDLC.white (DEVIL, Fuk5, matHEND, to1nou, bodyy) - 2015. 1st - ESEA Main s18 ; TEAM-LDLC.white (DEVIL, Fuk5, matHEND, to1nou, bodyy) - 2015. 1st - EvryGamesCity #1 ; TEAM-LDLC.white (DEVIL, Fuk5, matHEND, to1nou, bodyy) - 2015. 1st - DreamHack Tours BYOC ; TEAM-LDLC.white (DEVIL, Fuk5, matHEND, to1nou, bodyy) - 2015. 5-8th - Dreamhack Tours Open ; TEAM-LDLC.white (DEVIL, Fuk5, matHEND, to1nou, bodyy) - 2015. 1st - ESWC.fr ; TEAM-LDLC.white (DEVIL, Fuk5, matHEND, to1nou, bodyy) - 2015. 9-16th - ESWC 2015 ; TEAM-LDLC.white (DEVIL, Fuk5, matHEND, to1nou, bodyy) - 2015. 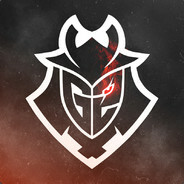 7-8th - PGL EU Minor 2016 ; TEAM-LDLC.white (DEVIL, Fuk5, matHEND, to1nou, bodyy) - 2016. 1st - Assembly Winter 2016 ; TEAM-LDLC.white (DEVIL, Fuk5, matHEND, to1nou, bodyy) - 2016. 7-8th - Acer Pro Masters ; TEAM-LDLC.white (DEVIL, Fuk5, matHEND, to1nou, bodyy) - 2016. 9-16th - Dreamhack Malmö ; G2.Kinguin (RpK, ScreaM, shox, SmithZz, bodyy) - 2016. 2nd - ESL Pro League Season 3 Finals ; G2.Kinguin (RpK, ScreaM, shox, SmithZz, bodyy) - 2016. 2nd - ELeague Group B ; G2.Kinguin (RpK, ScreaM, shox, SmithZz, bodyy) - 2016. 6-8th - Katowice Major Qualifier ; G2.Kinguin (RpK, ScreaM, shox, SmithZz, bodyy) - 2016. 1st - ECS Season 1 Finals ; G2.Kinguin (RpK, ScreaM, shox, SmithZz, bodyy) - 2016.
tu peut signer mon profil stp ?